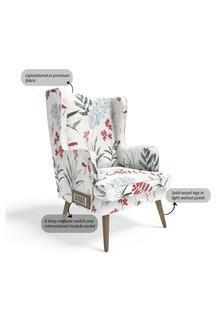 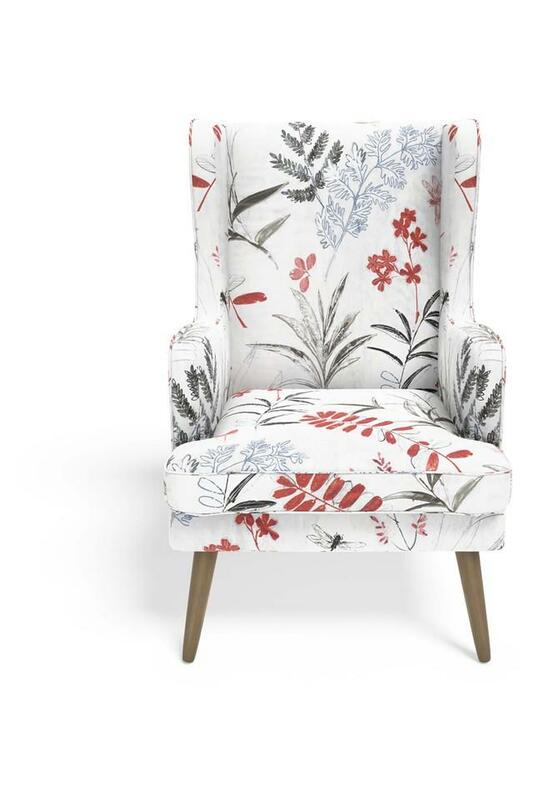 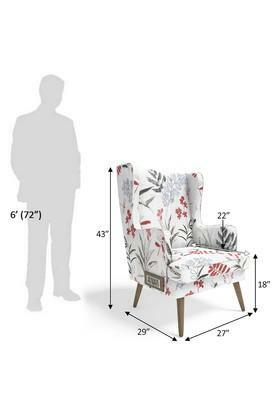 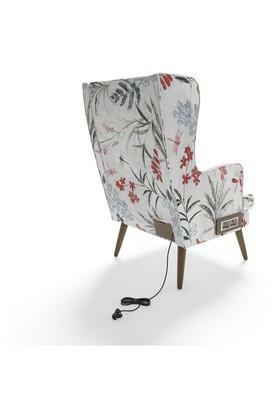 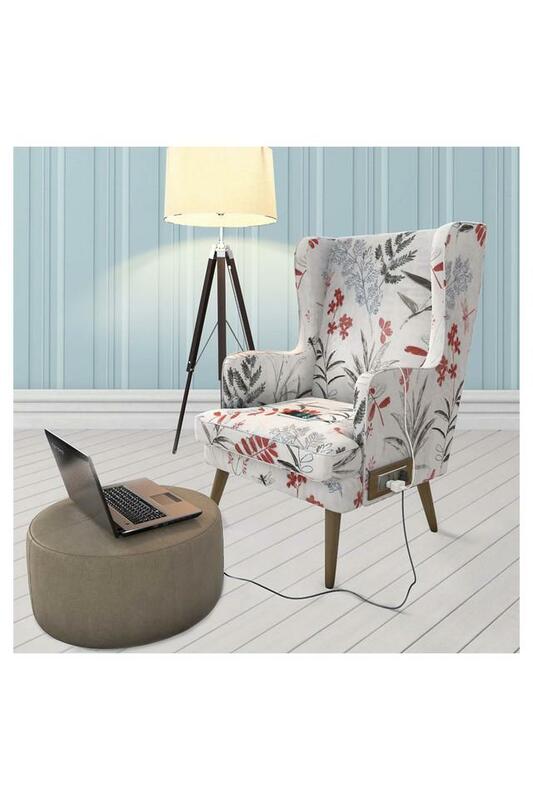 Upholstered in premium quality fabric and featuring floral prints in a nice combination of colour, this wing chair will surely add appeal to your living room, while enveloping you in a comfortable bliss. Moreover, the 6 Amp modular switches with international sockets on both sides allow you to easily charge mobiles and laptops. 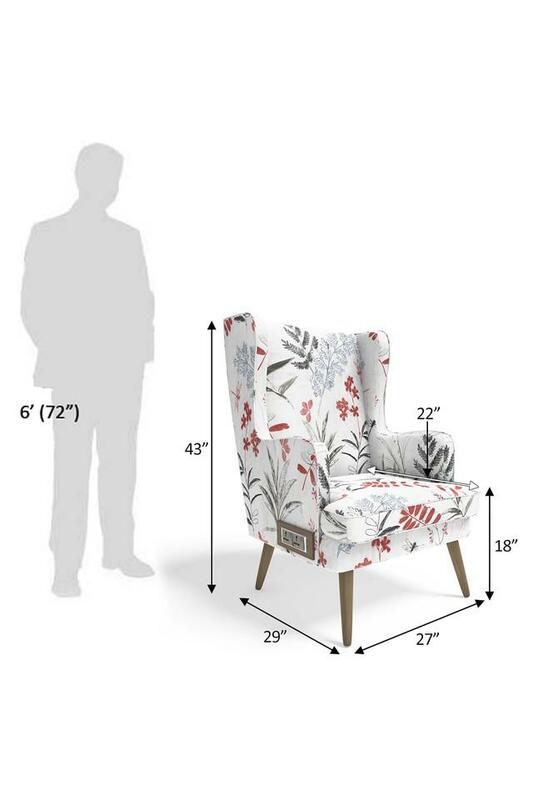 Dimensions: 69 x 74 x 109 cms, Warranty: 2.5 years. 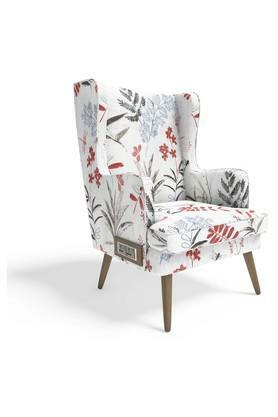 Perfect for long lounging sessions with your favourite book, this wing chair from the house of Stoa Paris will complement most interior decors.